Auction scheduled for July 20, expected to bring in $100,000. 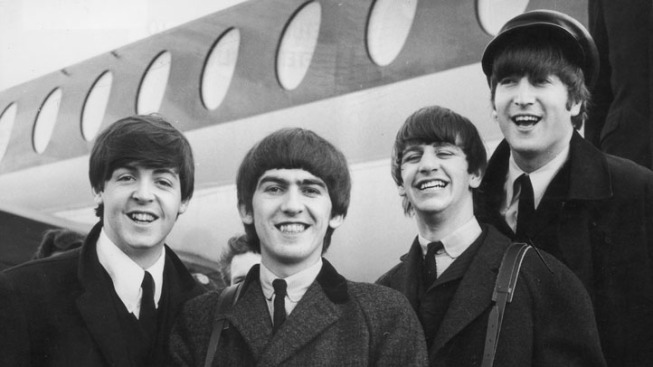 Get a piece of Beatles history at Christie's in July. It was 1964. Beatlemania ruled. Two days after their momentous debut on "The Ed Sullivan Show," the Fab Four boarded a train from New York for Washington, D.C., for their first U.S. concert. An enterprising 18-year-old Mike Mitchell was there, a press pass in hand, shooting photographs just feet away and even jumping onto the stage for the group's brief pre-concert press call. Forty-seven years later, Mitchell has made 50 silver gelatin prints from his negatives of the event and the Beatles' Sept. 3, 1964, performance at the Baltimore Civic Center. He's offering them for sale at Christie's New York auction house on July 20. The total pre-sale estimate is $100,000; the images will be sold individually. Mitchell laughs when he describes the scene at the indoor arena that night — not only of screaming fans but also of his unrestricted access to the stage. No cordoned-off media pens, no tight security. "It was a long time ago. Things weren't that way then," the 65-year-old said in a telephone interview from Washington, where he lives and works as an art photographer. "It was as low-tech as the concert itself. The concert was in a sports venue and the sound system was the sound system of a sports venue." Equally astonishing is how few other photographs from that first concert exist. Simeon Lipman, head of Christie's pop culture department, said it's not clear why, but he said Mitchell's black and white photographs were remarkable for their quality. In addition, Beatlemania was at its peak, so much so that the Beatles stopped performing live in 1966 — their last concert was in Candlestick Park in San Francisco — "because they couldn't hear themselves sing. The girls were so hysterical," Lipman noted. Mitchell stored the negatives all these years in a box in the basement of his home. For the silver gelatin prints in the auction, he used digital technology to do "much better 'darkroom' work that could ever have been done in a traditional darkroom." The batch of prints, showing the Beatles in their early signature mop hair, suit and ties, also will have a nearly invisible "secret moniker" that will not be used for any other of his images, he said. The highlight of sale is a backlit photograph of the band with light halos around their heads that Mitchell shot at the press call while standing directly behind the group. Sotheby's has not yet determined what it's expected to fetch. But Cathy Elkies, Christie's director of iconic collections, explained that the auction is pricing the collection "in an attractive way" for two reasons: Mitchell was not an established photographer at the time and the auction house wants to appeal to a wide base of fans and collectors. But she expected bidding to exceed the estimates, saying, "Beatles fans are fierce. To uncover this trove of images that's never been published will really excite people." Mitchell said he had not thought much about the photos until now because he has been focused on developing a body of photographic work about light that took him on a different aesthetic journey. And until recently, he said, the images "couldn't be restored to the extent that they have." "They benefit from a historical perspective," Mitchell added. 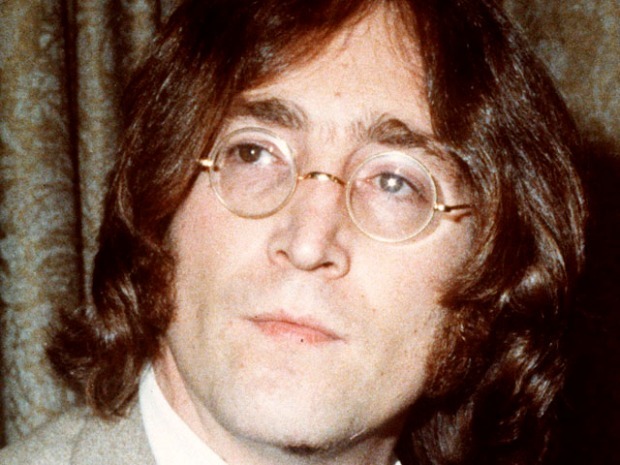 He said he got the press pass for the Beatles' first concert from a small Washington magazine that had a short life and for which he did some work. The Washington Coliseum stage was a boxing ring, which meant the Beatles were constantly turning around so they could face all of the fans. Ringo's drums were set on a lazy Susan-type platform. The press was allowed to move freely around the stage, Mitchell said. In addition to jumping on the stage during the press call, he hurled himself up after the concert ended. Even though the Beatles made a swift exit, he said, "the crowd was so boisterous" that he feared for his safety. The photographs will be displayed at Christie's London galleries on June 11-12, and then at several other London venues before being shown July 11-20 at Christie's New York prior to the auction.